Adult Cosmetology and Nail Technician students from left to right: Jeana Meyer, Keaton Maines, Hanna Martino, Hannah Knepp, Krystal Bloom, Paige Newhouse, Lauren Shaffer, Destiney Hockenberry, and Kelsey Oakes. 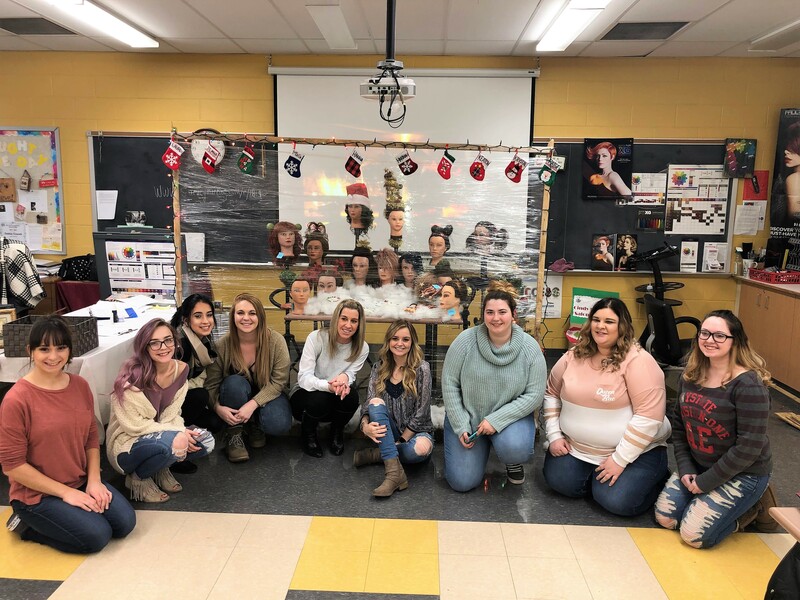 The Clearfield County Adult Cosmetology students had their first Friday challenge where they were required to create a salon Christmas display. They are given one day and must work together as a team.